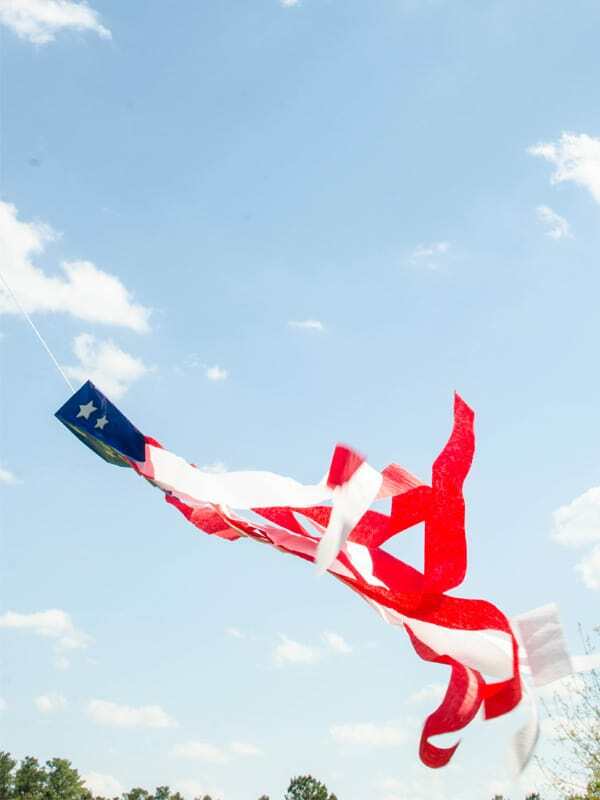 Need a flag craft to entertain kids at your Memorial day BBQ or 4th of July celebration? 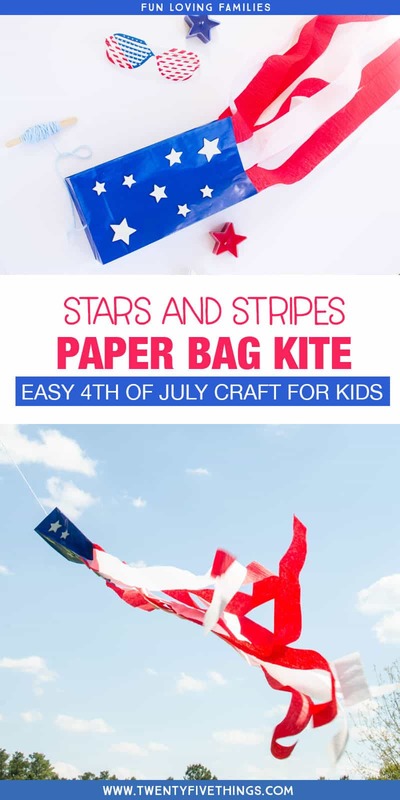 Make these fun, patriotic kites using paper bags and party streamers! 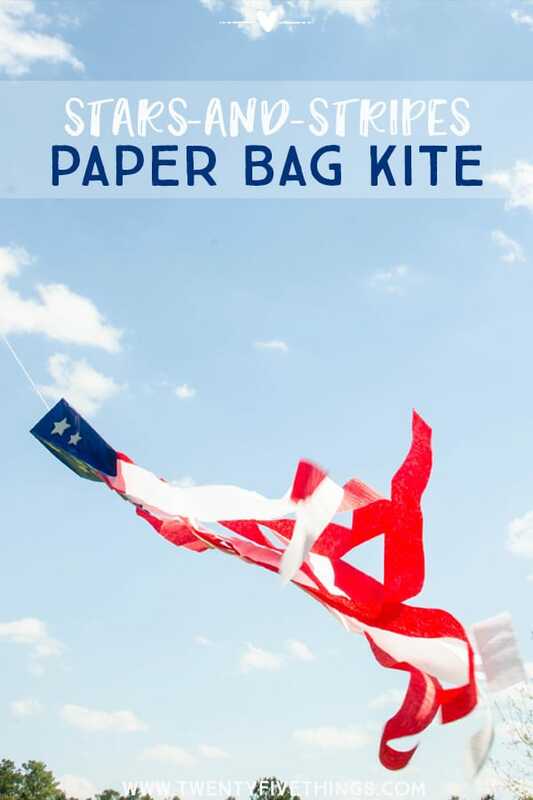 Even if it’s not windy, the kids will love making these kites as much as playing with them when they’re done. They make great party favors for young party-goers. Ready to let your flags fly? 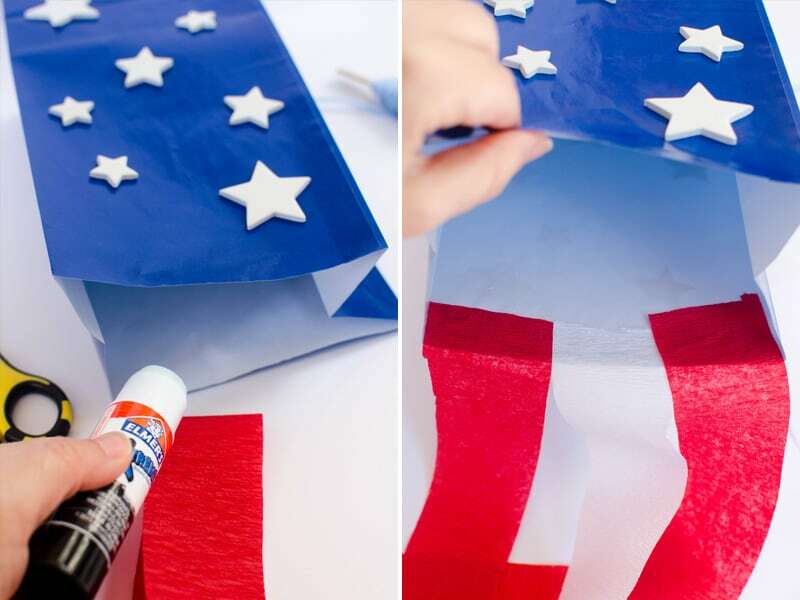 This super-simple flag craft for kids will have them lining up to make their own. 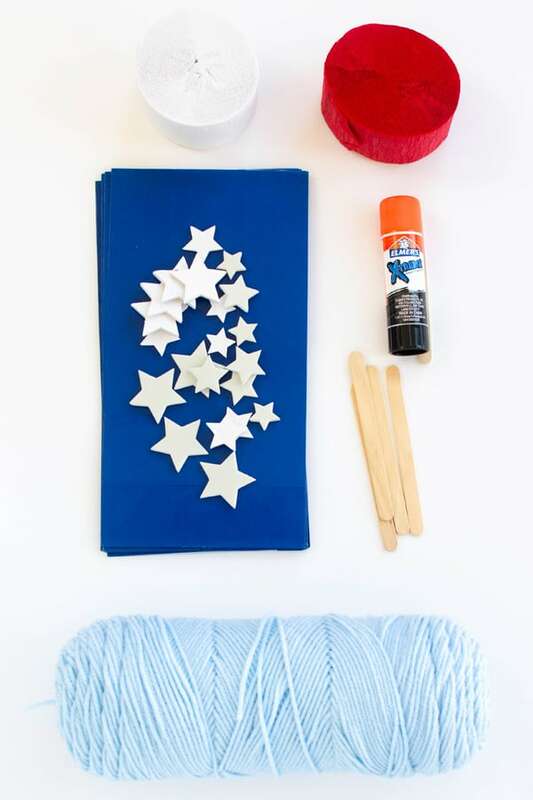 Start with plain blue paper party bags, and end with a flag-inspired kite. With the long kite tail streamers, these are just as fun to twirl around as they are to fly. Younger kids will need help with cutting and tying, but will have a blast covering the bag with stickers. Older kids can probably handle most of the steps with a little instruction. 1. 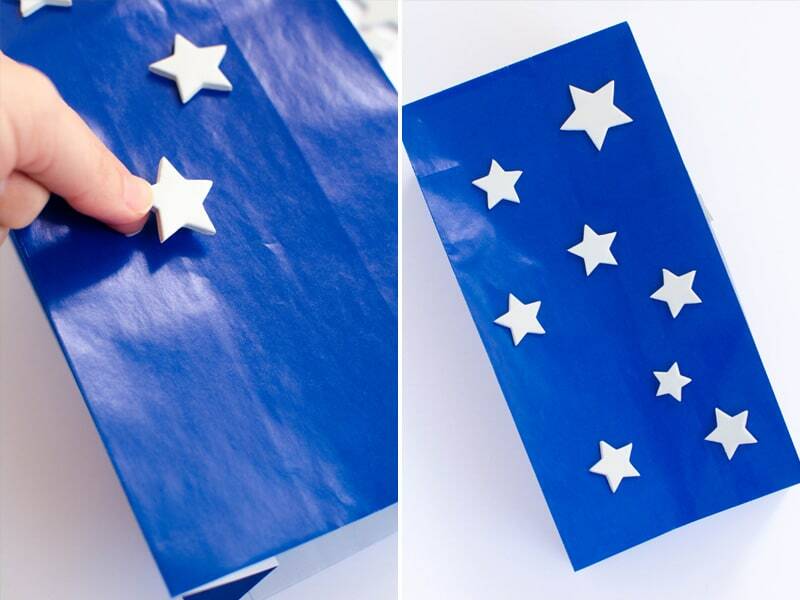 Start by adding your star stickers all over your bag. 2. 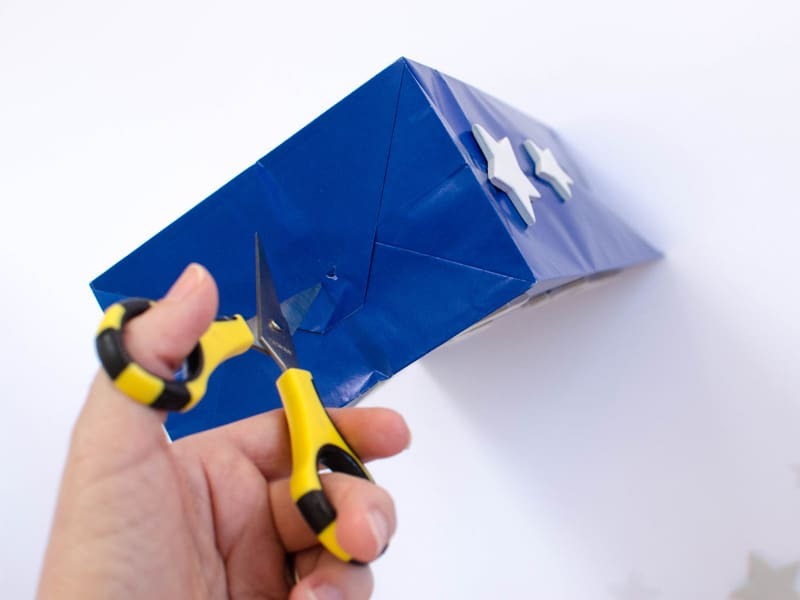 Next, cut a small hole on the bottom center of your bag. 3. 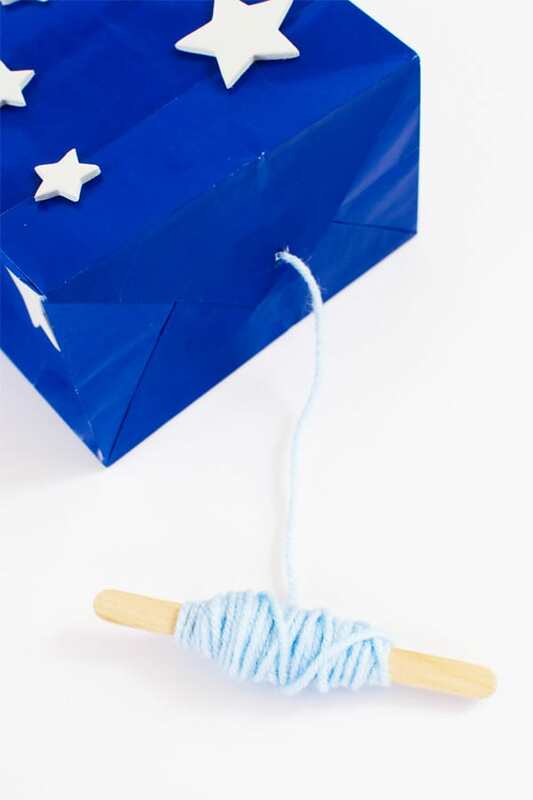 Insert one end of your yarn through the hole of the bag, and tie it securely to a popsicle stick on the other end. 5. 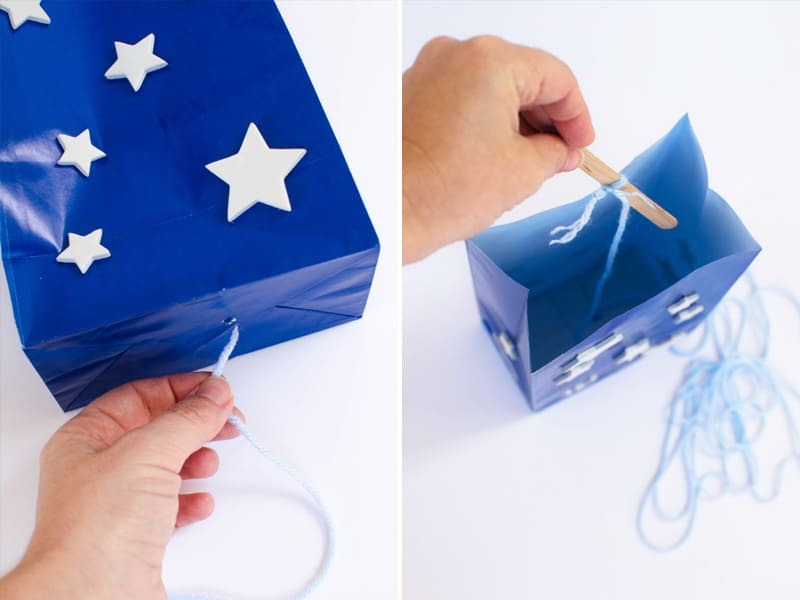 Glue your streamers all around the inside top of the bag. 6. Go fly your kite! So, the jury is still out on whether or not this kite will get airborne. When we tested, we only had 7mph winds and it was struggling. Thankfully, my daughter said it was still fun to swing it around and watch the streamers. Have fun making the kite, and may you have lots of wind! 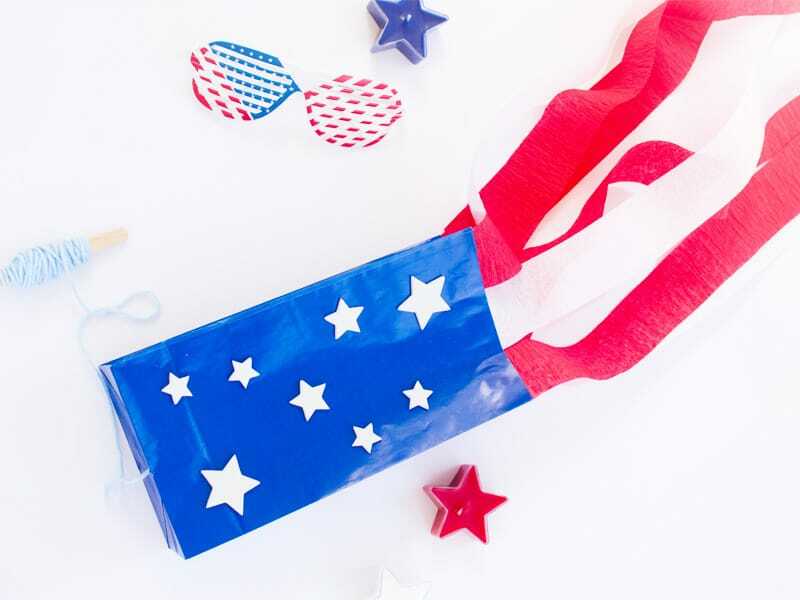 RELATED: Click here our free 4th of July printable party invitations.